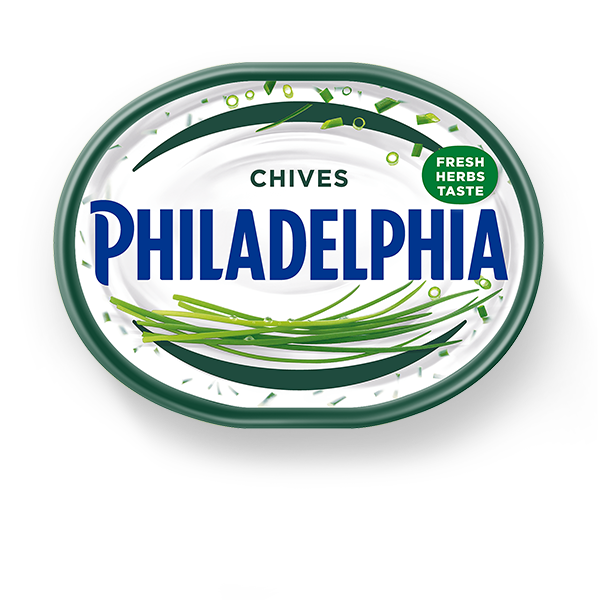 Made with milk and real cream, Philadelphia Chives has the same fresh and creamy taste as Original, but with 30% less fat and packed with delicious Chives - now with an even tastier and fresher Chives taste! 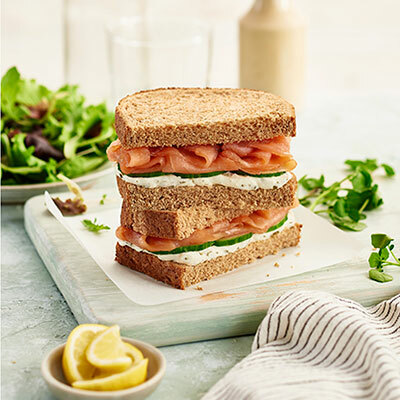 Stuff into Chicken breasts and wrap in bacon for a deliciously creamy dinner, or spread into your favourite sandwich for a flavoursome kick to your lunch. Whether you are looking for a twist to your lunch or a more inspring dinner, Philadelphia Chives is fantastically versatile. See our recipes for more delicious inspiration. Made with pasteurised milk and with no added preservatives. Suitable for Vegetarians. Also available in 340g Family pack. Medium Fat Soft Cheese, Chives, Salt, Stabilisers (Locust Bean Gum, Carrageenan), Acid (Citric Acid).